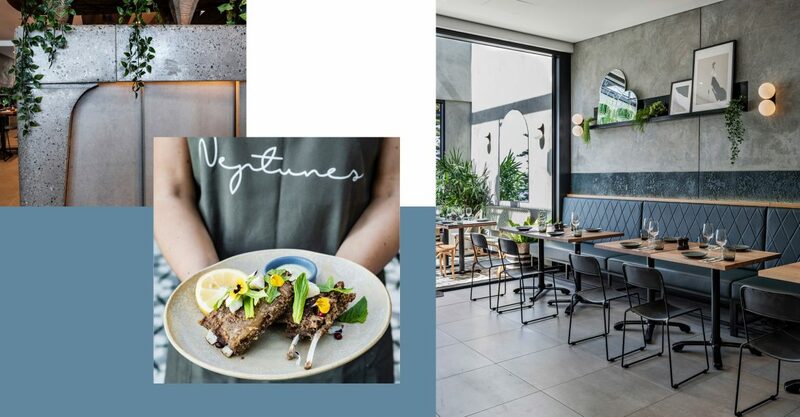 Neptunes has been a long-standing favourite place to eat in Brighton Le Sands but if we’re brutally honest the restaurant interior left a lot to be desired. Cue one of the most incredible interior makeovers (or should we say start-overs) we’ve seen in a while. 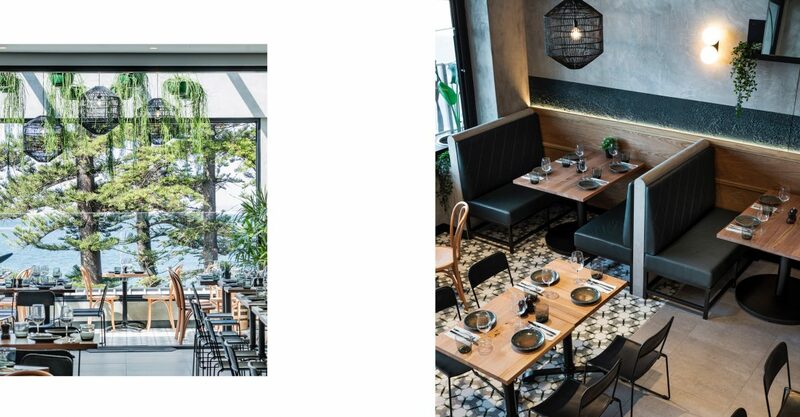 This beautiful restaurant interior was designed and executed by the very talented team at DS17 and we have some serious design envy! The designers have created an indoor oasis filled with natural light by taking advantage of the split-level premises. Sacrificing floor space for an open-air void and an incredible concept, we think the risk has paid off ten-fold. 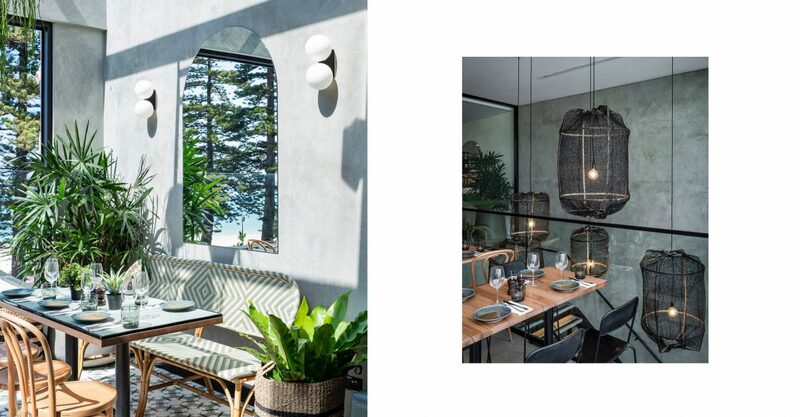 The void and glass ceiling at the front of the restaurant allows natural light to stream in as customers enter, giving the best possible first impression. The height created through this genius design decision allows black netted pendants, housing exposed Edison light bulbs, to become a design feature. 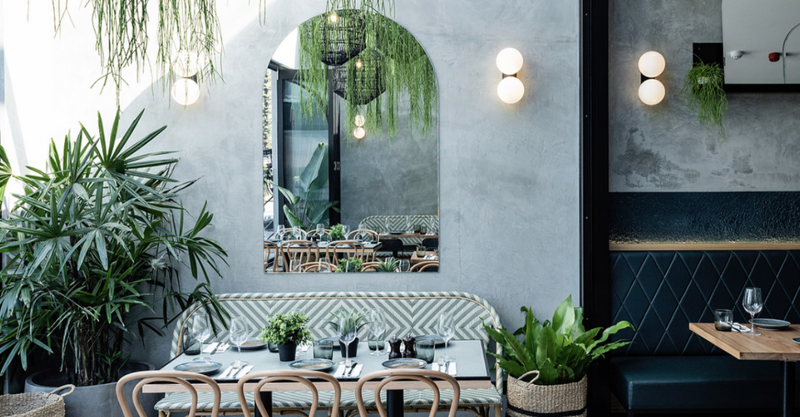 These large-scale pendants, along with hanging plants and rendered interior walls, create visual depth and add an encompassing sense of texture to the overall design. 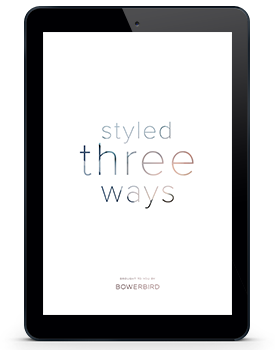 The design merges old and new by using new age, modern arch-shaped mirrors and Scandinavian inspired wall lighting. Traditional furniture selections such as bentwood chairs and quilted bench seating are a fantastic touch. As you know, we #LoveTheDetail so we are loving the number of custom-made pieces we spy in this project – from the lighting that highlights the custom terrazzo bar, to the upholstered bench seats with overhead shelving. It seems the word generic doesn’t exist in this organic, green oasis. We are in awe of the designer’s ability to somehow mix the perfect amounts of vibrant, lush and moody to create this dynamic dining space. We could drool over and discuss at length just how perfect all the design choices in this project are, but we think the pictures really speak for themselves. 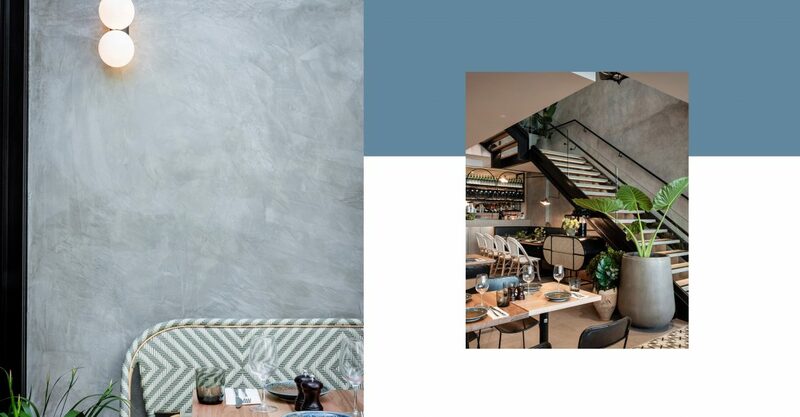 What do you think, are you in love with this restaurant interior as much as we are?